Bras and bustiers for women who appreciate the finest materials in a perfect fit. 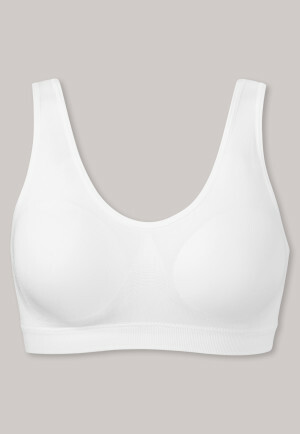 A companion as close to you as a bra should know your needs and should look after your well-being. 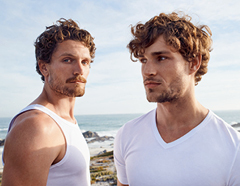 SCHIESSER models give you a good feeling with silky materials and maximum comfort. Choose between bras and bustiers suited to your taste with simple colors, sporty designs or playful details. Every woman has different preferences when it comes to picking the correct bra shape. The choice also depends on whether you're looking for a model for a particular garment. 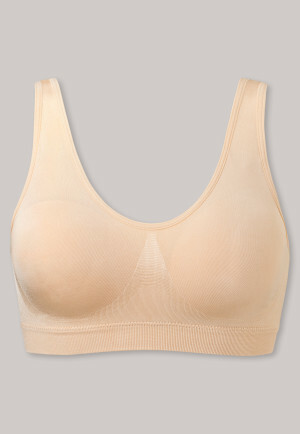 They gently support the breast and provide a feminine, rounded shape. 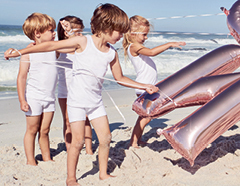 They're suitable for every size and every garment. A special cut and incorporated cushions lift the breasts and give you a seductive neckline. This bra is perfect for a small or medium-sized bust as well as under blouses, shirts and dresses with plunging necklines. Resembling a short top, they're put on or taken off over the head. 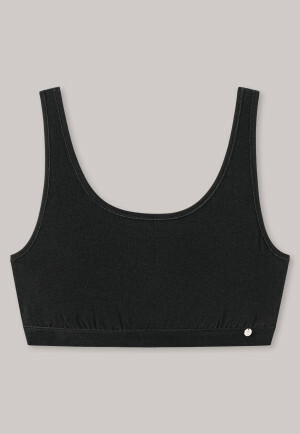 The bustier provides a stable, supportive fit without constricting movement. It's ideal if you move a lot during sports or at work. These bras feel very comfortable, since they don't possess any wires. They cup the breast and emphasize their natural shape. 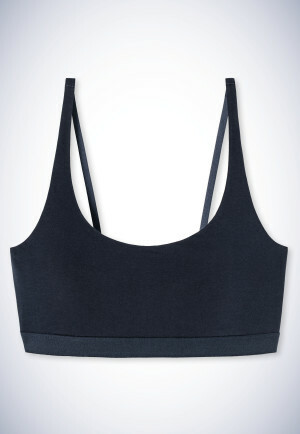 You can perfectly wear a soft bra if you're a small bra size and under any kind of top. Further assistance and useful tips regarding bras can be found on our large Bra Advisor. Bras and bustiers from SCHIESSER give you a free and secure feeling. 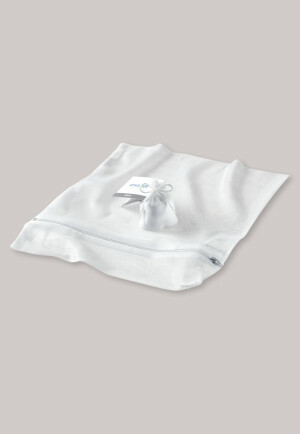 They are made of soft cotton with spandex or feature delicate, quality microfiber. 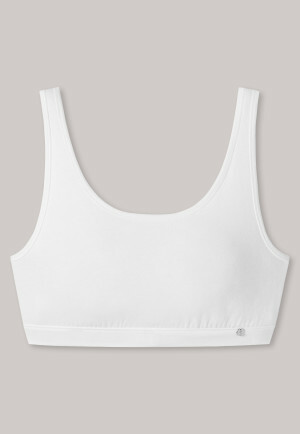 Due to the high-quality workmanship, the fabric gently encloses your breasts and give them stability. 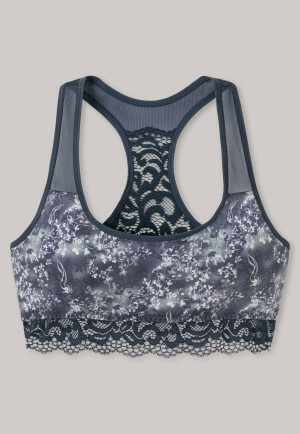 The more elegant models from our range feature a feminine charm with their fine lace or embroidery. For that perfect feeling of well-being, you can't buy too many bras, bustiers and briefs in matching designs. We also turn our know-how as a successful underwear manufacturer into models for your special needs. That's how you feel, no matter what you plan to do. These models are designed to provide optimal support for fast movements and heavy use. Special cuts ensure stability, while breathable materials ensure maximum comfort. These bras and bustiers work seamlessly, don't stick out through your clothes and win you over with maximum comfort. In addition, the seamless models have a secret. They're produced like shapewear and conjure up a feminine silhouette.